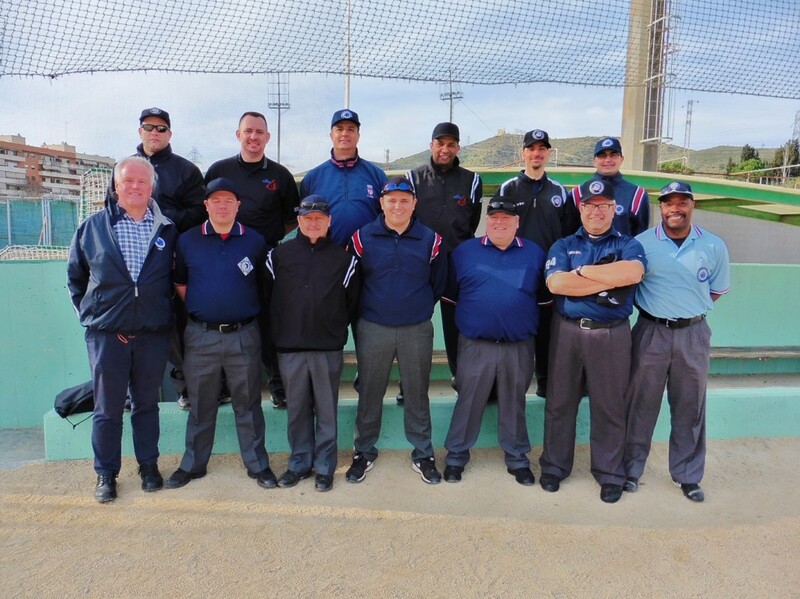 For the second time the CEB Umpire Commission organized an umpire clinic for new and/or potential CEB umpires. The clinic was held in Barcelona, Spain from Friday, March 6 to Sunday, March 8. Umpires from five different countries were attending the clinic. The participants came from Norway, Netherlands, Spain, Belgium and Italy. 11 umpires were instructed by CEB Umpire of the Year 2014 Mojmir Jankovic (Slovakia) and CEB Umpire Director Paul Bokern (Netherlands). All the umpires took tests (rules and 3-man system) and were licensed. With the help of Jordi Valles of the Royal Spanish Baseball and Softball Federation everything was organized very well in Barcelona. CEB is organizing in advance of the two European Cups in Rotterdam (Netherlands) and Paris (France) a one-day clinic for the participating umpires to improve the level of umpiring within CEB. It is CEB’s intention to organize another clinic for umpires next year at the same weekend.